Continuation of Vswe's Steves Carts 2 mod. Steve's Carts Reborn allows for the player to customize and design minecarts that can be used for automation. The screenshot below shows an example cart that is being used as a crop farm. 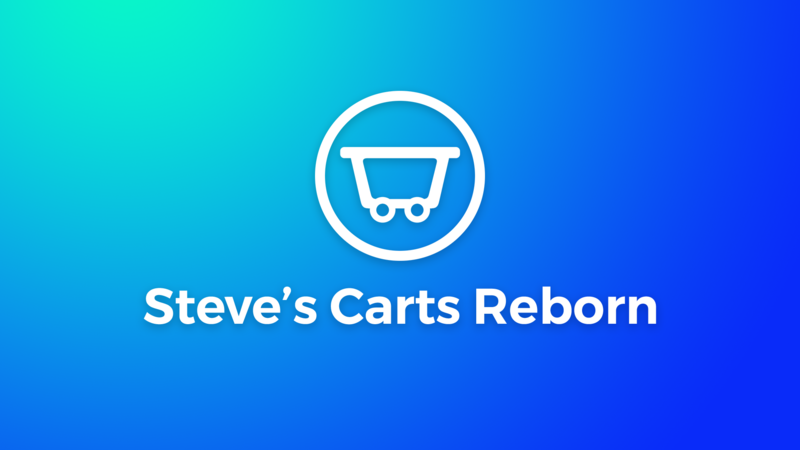 Full credit goes to Vswe for the original Steve's Carts mod. We have a discord server you can join to talk about the mod, and ask for support. Please report any issues you find to the github, they cannot be fixed if we don't know about them! I really really want to use this mod... but the most commonly useful applications would be to use it for a Tree Farm or a Quarry. As a quarry it can only dig in a long strait line. Thats silly. Who wants a quarry that is 6 blocks wide, and 500 blocks long. I BEG OF YOU, please add some sort of configuration, cart addon, or something that allows the quarry to clear a SQUARE are... like 64x64. Otherwise the quarry function is pointless. As a quarry it can only dig in a long strait line. Have you considered the possibility that perhaps the purpose of digging in long strait straight lines is not to quarry, but is instead to dig tunnels? It's a tunnel bore, not a quarry. And actually in some cases it's a lot more useful than a quarry, because you can use it at diamond level without having to dig through 50 blocks worth of stone to reach the diamonds (which is nice if you don't want to build up too much stone but you want a lot of diamonds). Used correctly, a Steve's Carts mining cart is faster at resource collection than a Buildcraft quarry (though not necessarily than an ender quarry, but that's a different matter entirely). But ultimately, the point is that it digs tunnels. That's what it's for. If you don't want to dig tunnels I'd suggest using a quarry instead. Have you considered no. And you don't have to use strikethrough fonts, you can just backspace and it accomplishes the same thing. Welcome to the future. if you want to have something you can clear large areas with, may i remind you that minecarts are generally for long and usually narrow areas. if you were to have a vehicle that can clear long and wide areas, then it might as well be a completely different vehicle, possibly unrelated to minecarts. Well I insist that I do and you can't deny that fact. Still no ability to quarry in a large square area? I have waited for it for ages! !